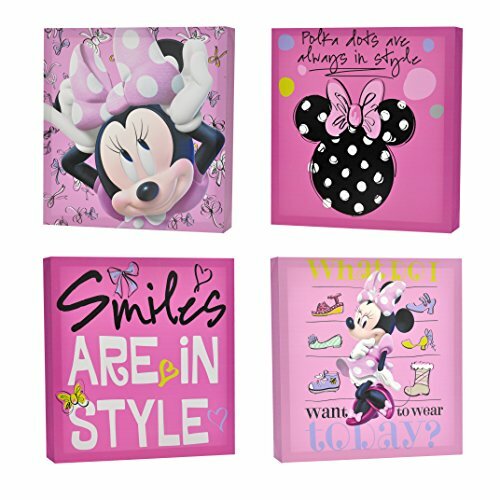 Mount the Disney Minnie Mouse 4-Pack Canvas Wall Art to add to the decor of any child's playroom or bedroom. Each panel features unique designs of Sofia the First. Set includes 4 square panels that can be part of a collection or stand alone. No assembly required. Canvas material is easy to mount. Spot clean only. Wall art is not a toy. It is meant to be used as wall decoration. Dimensions: 12.25" L x 12.25" W x 1.5" H.